Elderberry flowers, one of spring’s loveliest treats, are out now on the desert. They will be appearing in the coming weeks in higher elevations. Look for them along washes or other places they will get some moisture. 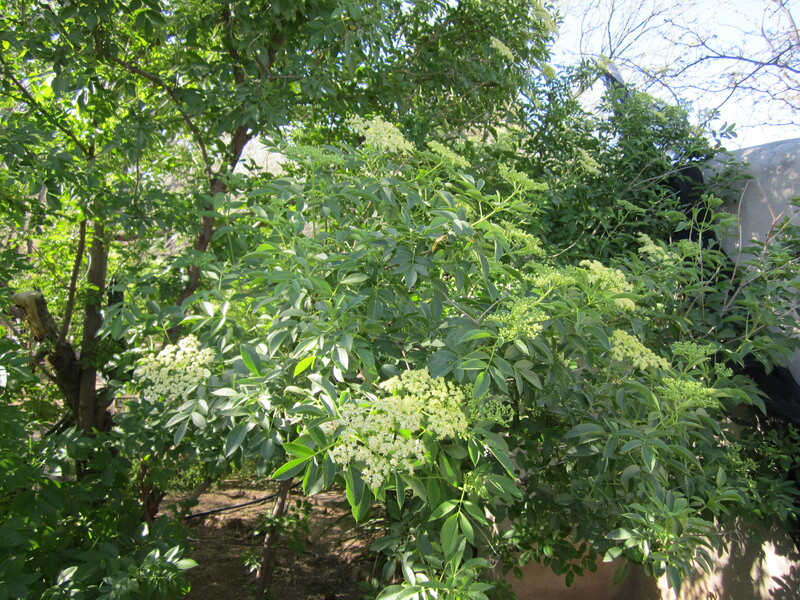 Elderberry flowers appear in bunches called a “cyme.” If left alone, in a few months they will turn into dark purple berries. My own elderberry bush is just a recently planted baby with only four flowers, so I begged some flowers from my friend Linda whose huge bush is about six years old. Even after I picked a colander full of flowers, they were plenty left to turn into berries. 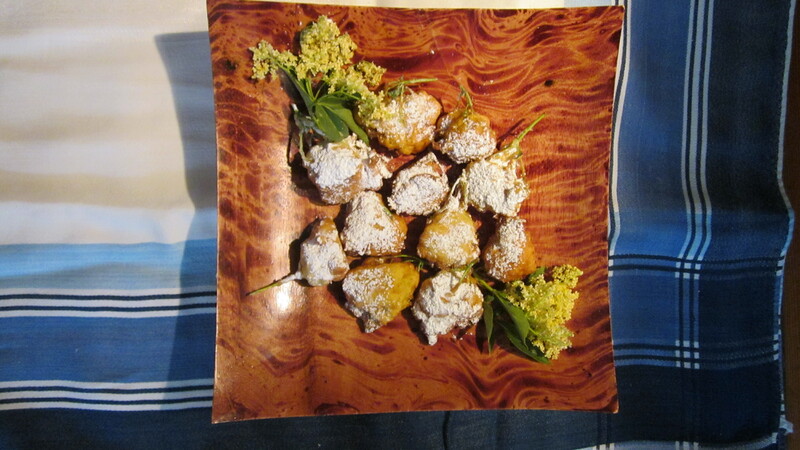 Elderflower fritters with powdered sugar. 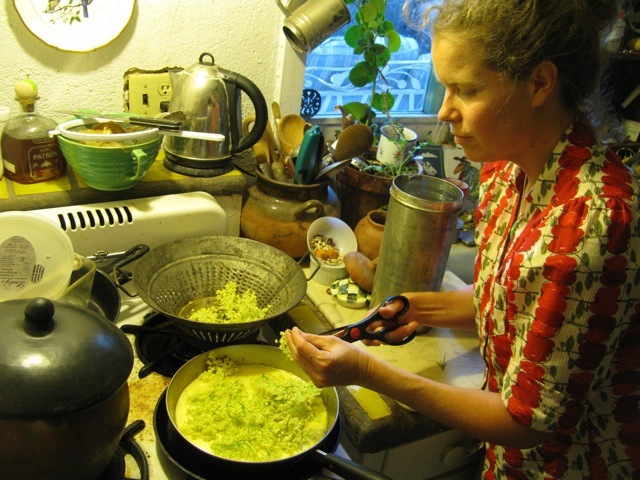 If you have additional ways to use elderflowers or experience with them, please share in the comments section. Sorry, I don’t tweet. Have enough trouble keeping up with the blog. But thanks for your interest.